Disclaimer: I am not a lawyer. This post is not intended as legal advise. If you have real concerns that you MIGHT be violating someone’s copyright, do not use it. Or ask permission first. Sharing quotes, facts, and images from other blogs is something many content creators do instinctively, without thinking about whether they are doing anything wrong. The open social web encourages this free sharing. The importance of copyright online is ever increasing. And if you are blogging as a business, it is even more important. Getting caught up in copyright infringement suits is not going to do wonders for your bottom line. If you find yourself wanting to pull a quotation from another website or blog, use one of their photos, or re-publish an entire blog post, here are a few rules of the road to guide you down the path of content curation copyright. Was your writing or image an original work or a full copy? Is your website for profit as a business or personal? Is the original work a news story based on fact or is it theory, opinion, original thought? Could the quoted work have been recreated with research on your own? The closer the original work is to facts the more likely that fair use applies. Opinion however makes the work more original and more likely that you are in the wrong. Did you copy ALL of the work? Did you copy MOST of the work? The more you use, the more likely you are in the wrong. What is the right length? Many will say a couple paragraphs is fine. The AP specifically asks bloggers to pay for quotations more than 4 words. That is the extreme. The best rule of thumb here, as with most of copyright, is if you are unsure, just ask the copyright holder for permission. Are you producing a competing product by copying an original work? Is there still a good reason for someone to go look at the original work? Are you using an image that you would normally have to pay for? If you are costing someone else money that they would normally receive, you are typically in the wrong. These 4 points should not be considered independently, but holistically. 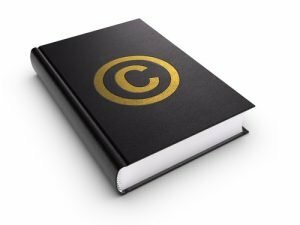 The is no exact equation of what constitutes fair use but these are guides that, when considered together, will guide your decision. Always Ask First — Most bloggers, photographers, and content creators online are pretty accessible these days. And if one isn’t, there are likely 10 others with similar media that are. Asking for permission can also potentially help you. If the author of a quote or the photographer of an image knows you are using something, they may point people toward your blog post. Quoting News and People — If you are pulling a one or two sentence quote for context in a blog post where you are giving opinion, you are usually in the clear, especially if you are linking to the original text for credit. However, to repeat, if unsure, always ask first. Creative Commons — Many content creators, especially photographers and image websites, are starting to use creative commons. Creative Commons is a service that helps define and provide licenses for content creators to define how and if their original work can be shared. Look for creative commons licenses on Flickr, in Google Image Search, and in the footer of more and more blogs (examples here). Always Link — If you feel you are in the clear or you have direct permission, it is always the default to give credit and link back to the original author/content owner. This gives them value and many times alerts them to the use. It is also just good manners. Are You Helping Them? — Ask this question before contacting a site about republishing their work. If you want to republish a blog post, one important question to ask is if you would be helping that blogger gain exposure more than they would be helping you with free content. Republishing TechCrunch on your personal blog for interest would do very little to nothing for TechCrunch. But if TechCrunch wanted to republish something from your personal blog, it would be a big bonus of traffic and attention to you. Consider the value equation. Curation Has It’s Limits — A weekly wrap up blog post where you summarize and link to other strong articles around the web is great. Even a wrap up of quotes or excerpts from some of your favorite blogs can be pretty acceptable as long as you provide links. Once your excerpts get so long that your reader does not need to click through to the original work, you have crossed a line. Photos Are Dicey — You most likely are not using a small part of someone’s image or photo like you do with text excerpts. If copying photos it usually means you are using the entire original work. Because of this you are more than likely violating copyright when taking an image from the web and using it on your blog without permission. There are also several services and bureaus built for paying to use photos, so proving that you are costing someone else money becomes pretty easy.